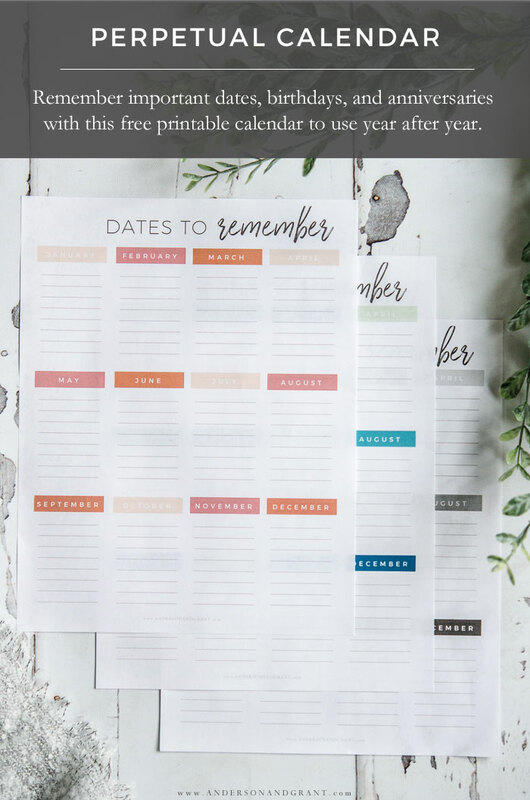 Don't ever forget a birthday, anniversary, or important date again with this handy free printable perpetual calendar available in three different colors. With so much to remember in our lives, I love creating ways to make it easier for you to focus on what's important. Your friends and family all have birthdays and anniversaries you want to remember, and there are holidays like Grandparent's Day that are easy to forget. 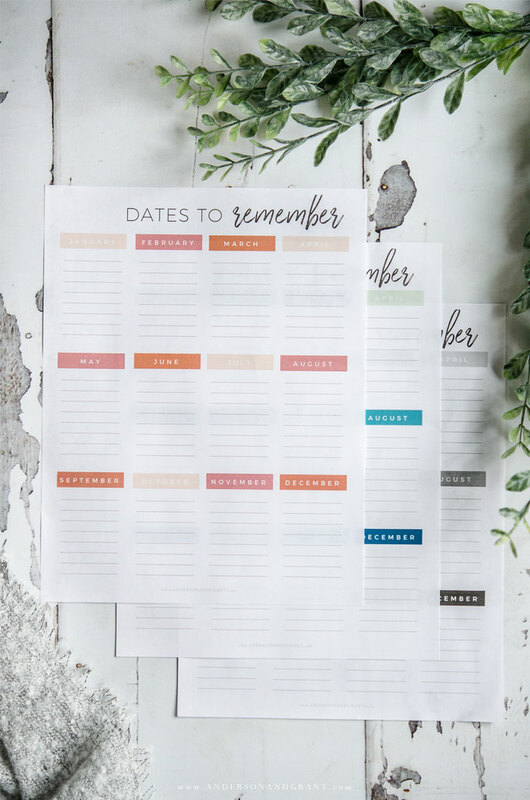 This perpetual calendar has been designed to give you a pretty place to record all those important dates. And because it is not dated, it can be used year after year. There are three different color options to choose from and the links where they can be downloaded for free appear below this picture. 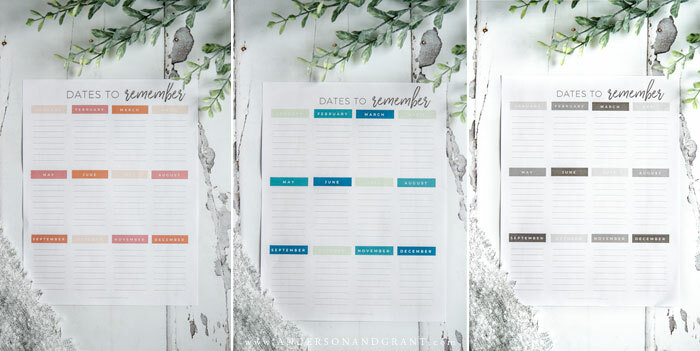 Print it out on a heavy duty card stock (affiliate link) so that it is durable for years to come!